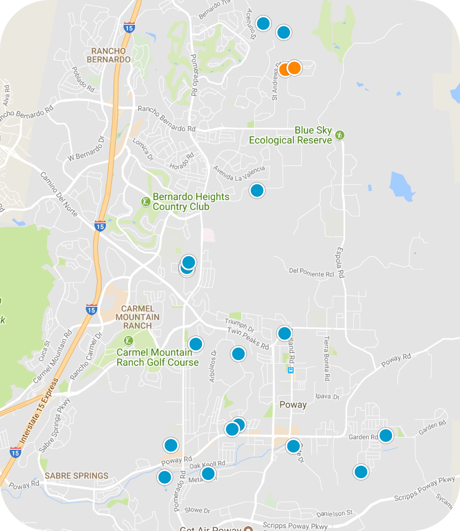 San Diego Home Sales website search offers all Poway homes, condos and foreclosures for sale. You are able to get new property listings daily that meet your search criteria. About 25 miles northeast of downtown San Diego, the community of Poway, California, lies about 10 miles inland. It was incorporated as a city in 1980 and was home to a population of just under 50,000 at the 2000 census. The city has a total area of more than 39 square miles and it was founded as a town with a foothold in agriculture, with peaches, grapes, apricots, pears, hay and alfalfa all grown here in the 19th century. The city's median annual household income was estimated in 2005 to be more than $96,000, making it a more well-to-do community than many in the area. The schools in Poway are administered through the Poway Unified School District, which includes 25 elementary schools, six middle schools, four high schools and a continuing education high school. Eleven of these schools are physically located within Poway. Palomar Community College serves the higher education needs of the community. Poway is home to several outdoor areas to enjoy, including 4,700 acres of open space, 82 miles of trails and 25 parks. Aubrey Park, the Blue Sky Ecological Reserve, Old Poway Park, Starridge Park, Lake Poway, the Sycamore Canyon Preserve and Goodan Ranch, which has more than 10 miles of trails, and the Kumeyaay-Ipai Interpretive Center at Pauwai. The town's nickname is the "City in the Country" because of its location farther inland than most San Diego communities. The nearest hospitals are Pomerado Hospital and Aurora San Diego Hospital, both just a mile west in Carmel Mountain. Several events celebrated throughout the year Old Fashioned 4th of July, the Train Song Festival, Christmas in the Park and the Youth Fishing Derby. 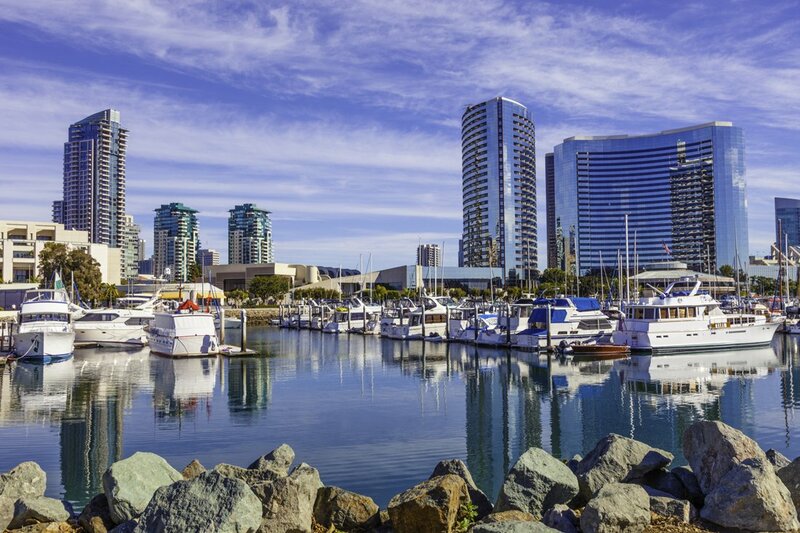 The San Diego International Airport is 24 miles south of Poway, and Interstate 15 is three miles west.